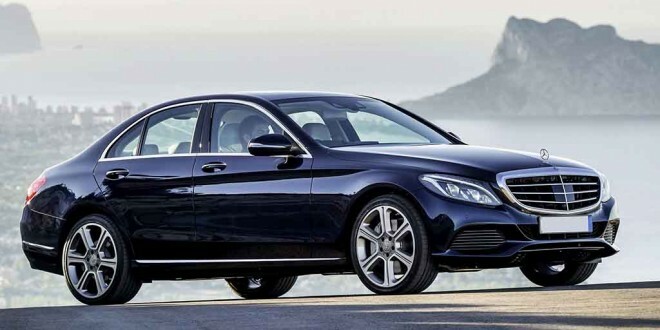 The eagerly anticipated new Mercedes C-Class definitely has the family look from the larger S-Class. It has just arrived in Ireland. One in five new Mercedes-Benz cars sold in Ireland come from the C-Class range, so the launch of a new model represents a very important milestone. It’s a car that Mercedes can’t afford to get wrong. 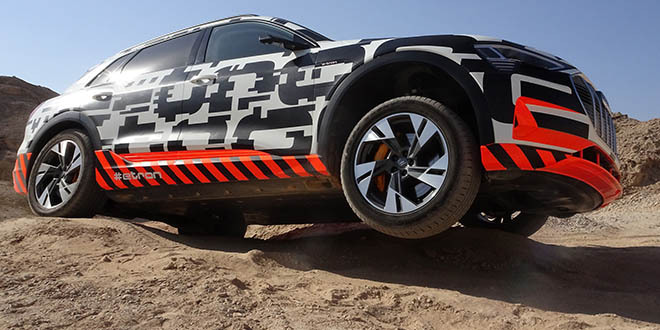 Once the range is complete, it will comprise of four petrol and five diesel models, although given our market conditions, it’s only the diesels that will be of particular interest. These start from €37,950. At the moment, we have the C220 CDI, powered by a 2.2 litre 170 bhp engine, which features emissions as low as 103 g/km, courtesy in part from a Cd of just 0.24. Fuel consumption is a claimed 4 l/100 km, which is an excellent result and this particular version sells from €43,300. The other two models on sale currently are both petrol. These consist of the C180 with a 1.6 litre 156 bhp engine, with a CO2 figure of 116 g/km and a C200 2.0 litre with 184 bhp and a CO2 figure of 123 g/km. These retail at €37,750 and €39,500 respectively. It would be a mistake to dismiss either of these on the basis that they’re powered by petrol. Granted, they won’t be as economical as a diesel, but for any driver not doing huge mileage or predominantly urban mileage, they could be a canny choice. Later on, the range will be rounded out with petrol C250 and C300 models, and diesel C200, C250 BlueTEC and a C300 Diesel Hybrid. These are all due to arrive in Ireland in September. You can see echoes of the recently launched S Class in the exterior styling of the C Class and the new car is more spacious than the old. Not surprising, given it’s 95mm longer and 40mm wider and a full 80mm of the extra length has gone into the wheelbase, releasing space in the cabin. Despite the larger body, careful design and materials choice has reduced the weight by 100 kg on average, bringing fuel consumption down by around 20%. Three trims are on offer. In common with other models in the Mercedes range, Avantgarde is aimed at younger buyers and features the Mercedes badge inset into the front grille. More traditional buyers can still have the bonnet-mounted Mercedes star by specifying Exclusive trim. Finally, AMG trim is aimed at buyers looking for a sportier drive. The interior is brand new and features advanced tech, some of which has filtered down from more expensive Mercedes models. A new infotainment system features an interactive touchpad and access to apps, giving online access to route planning, navigation, weather and traffic information. Some of that information is displayed on a head up display, which projects directly onto the windscreen. Optional equipment includes new ambient lighting with adjustable colours and levels, an ‘air balance’ package, which conditions the air in the cabin to your individual requirements, a surround sound system comprising 13 speakers and a hands-free boot access system that opens with a gentle tap of the toe. A six speed manual transmission is fitted as standard, although most buyers are expected to specify the advanced seven speed automatic. In a first for the C Class, permanent four wheel drive is also optionally available. Also optional is an air suspension system, front and rear. Safety systems include Attention Assist, Collision Prevention Assist, radar cruise control, lane assist, active parking, adaptive headlamps, traffic sign and wrong way alert systems and a full 360 degree camera. A full complement of airbags are offered, including a pelvis bag and a newly developed window airbag, ensuring the new C Class lacks for nothing when it comes to safety.